We are committed to providing only the best carpet cleaning services to our customers, and to do so we have invested in the latest carpet cleaning equipment and technology to ELIMINATE any dirt and grime that has accumulated in your carpets. Beach Walk Cleaning Services uses large commercial hot water extraction machines, which are mounted inside vans. The sheer power of our truck mounted deep steam cleaning machines helps get rid of any residue leaving your carpets in spotless! 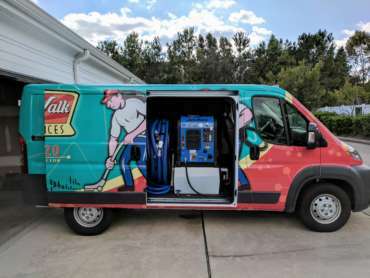 Truck-mounted hot water extraction is the preferred method of carpet cleaning by carpet manufacturers like Shaw, Mohawk, STAINMASTER & Carpet ONE. We look forward to providing you the very best, personalized, professional cleaning services in the Myrtle Beach area. If you have questions regarding one of or cleaning services Carpet Cleaning • Tile & Grout Cleaning • Upholstery Cleaning • Stain & Pet Odor Removal feel FREE to call us at 843-254-2420.